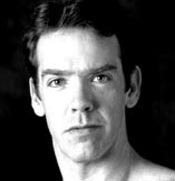 (Ballet 4, 5, 6 and Pas de Deux) Robert is a native of Northern California and has been dancing throughout the U.S. for the past 16 years. He has performed in a number of ballet companies such as Augusta Ballet, Charleston Ballet Theatre and Ballet Idaho. Most recently he has returned to San Francisco as a freelance dancer. Robert teaches throughout the Bay Area and is committed to all of his students. He loves working with students of all ages as teaching offers him the opportunity to pass on the knowledge that has been given him throughout his career. His favorite part of teaching is when students connect to the information he gives and make it their own.